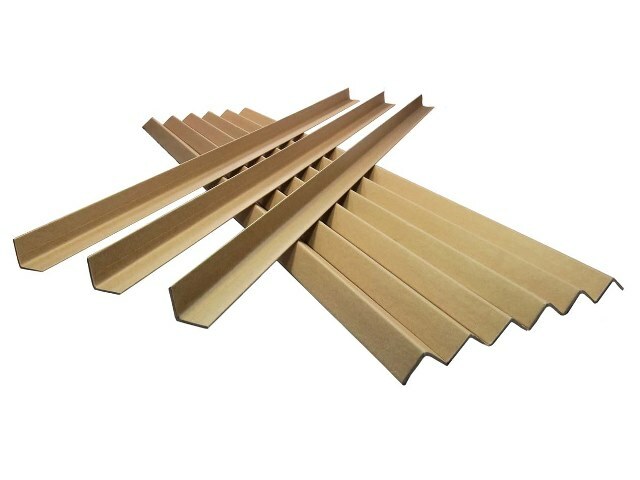 A pack of 100 x high quality eco-friendly L-profile cardboard edge guards. The size (apex) of these edge guards is 50mm x 50mm, and each is 1.2 metres in length (ie. 1200mm length). The wall thickness is 3mm. Branded by Kraftel, the edge guard protectors are 100% recyclable and environmentally friendly.